Suds is the delightful story of a young teenage girl and the four guardian angels who come to teach her about finding true love. It takes place in a laundromat during the sensational 60’s. 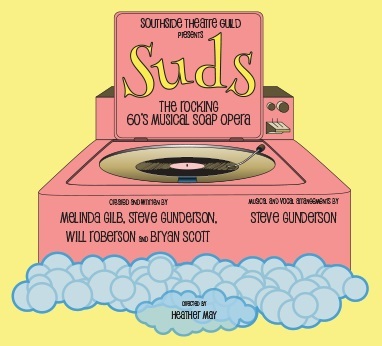 SUDS is loaded with good clean fun, bubbling energy and over 50 well-known songs that topped the charts of that decade.